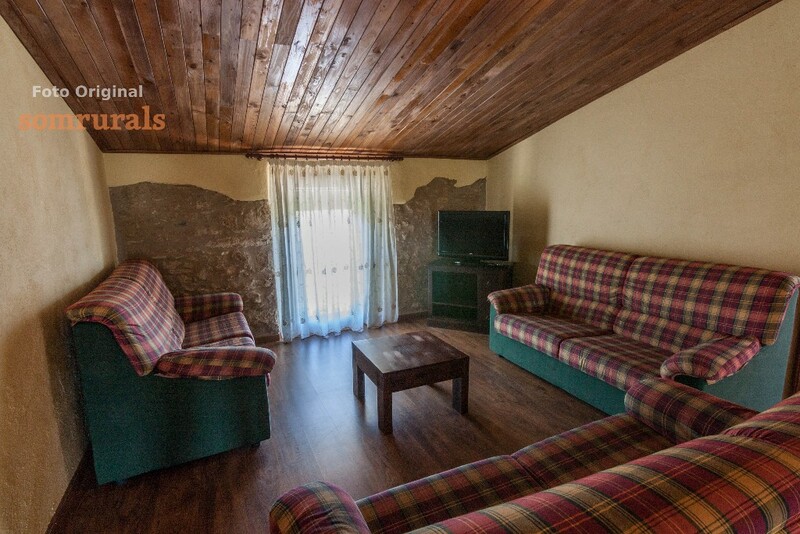 Cottage groups, game room and spacious. 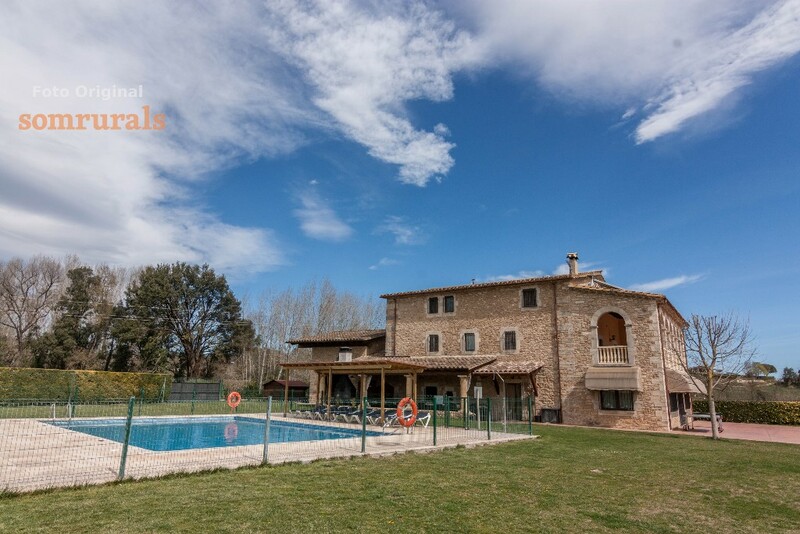 Rural house in the Pla de l'Estany concretely the town of Cornella de Terri, a small one located between the Lake of Banyoles and the Garrotxa. 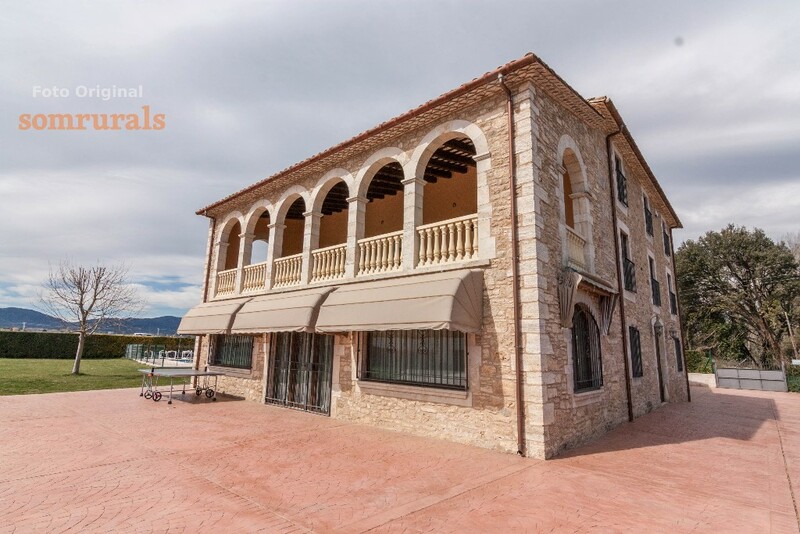 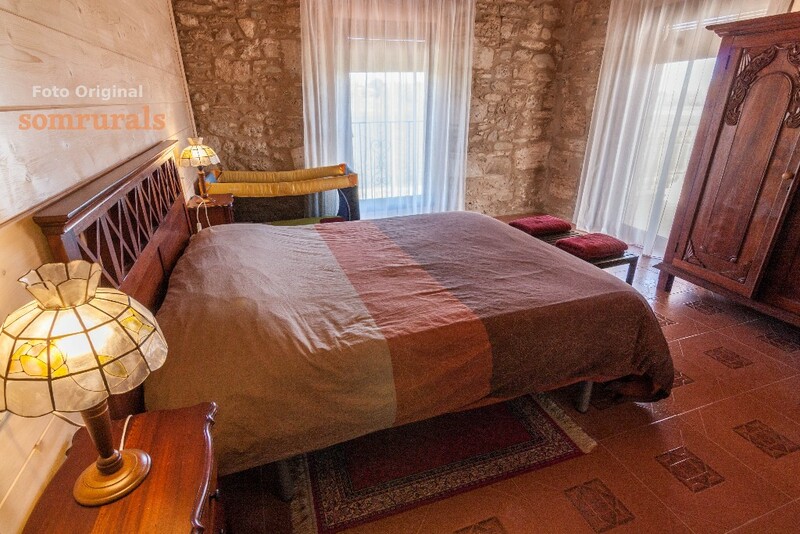 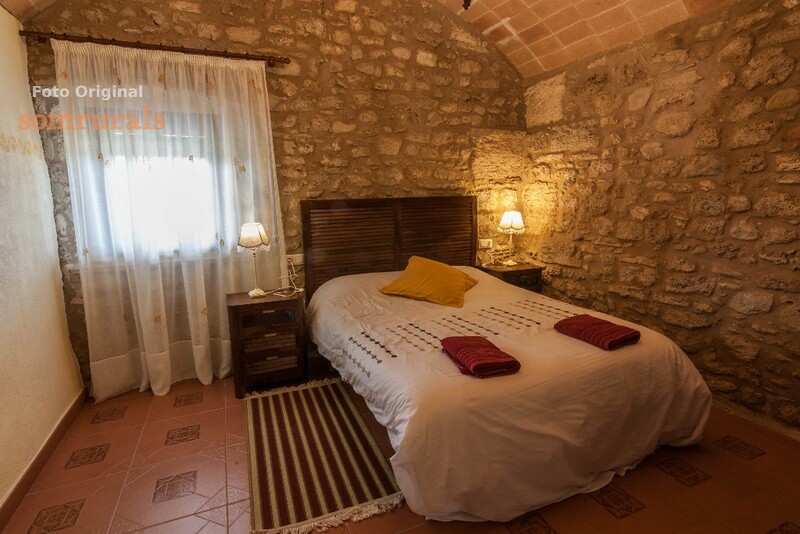 This house has a wide variety of activities to do during the stay, from quiet walks in the town to excursions discovering the corners that hide the wonderful region. 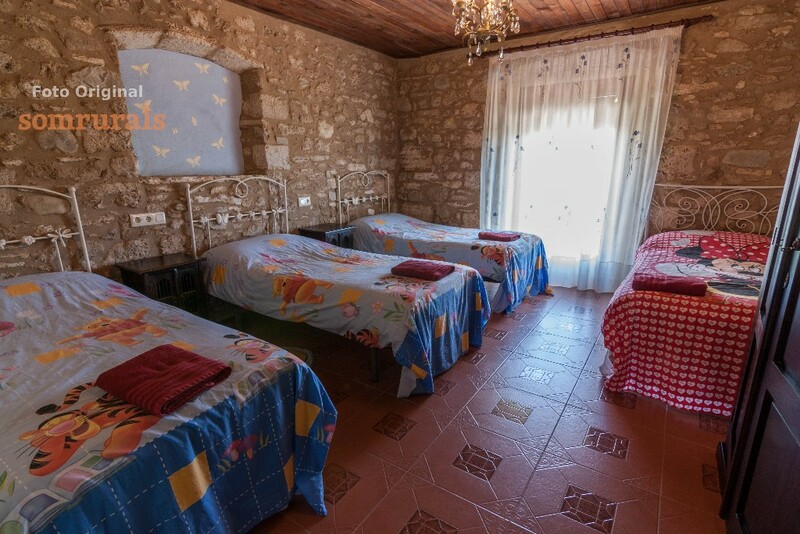 You can go as much in family as with friends, and spend a few days away from the city enjoying the tranquility and peace that rural tourism offers. 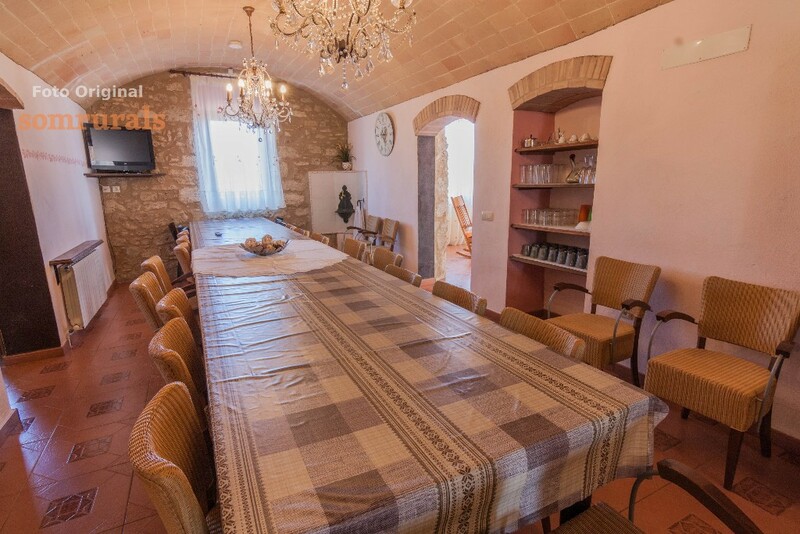 A perfect house for groups of up to 24 people. 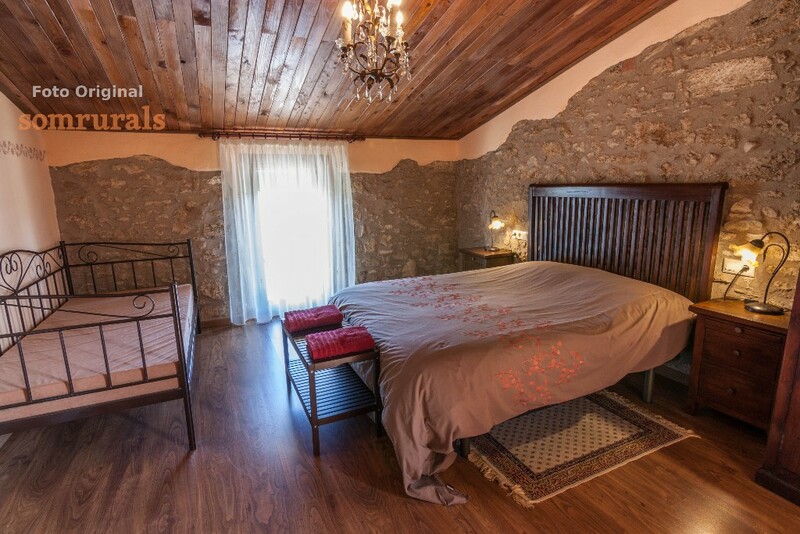 This rural house is structured on three floors and has a very careful decoration where the rustic elements of old wood and the most current elements that bring an extra comfort to the guests are combined. 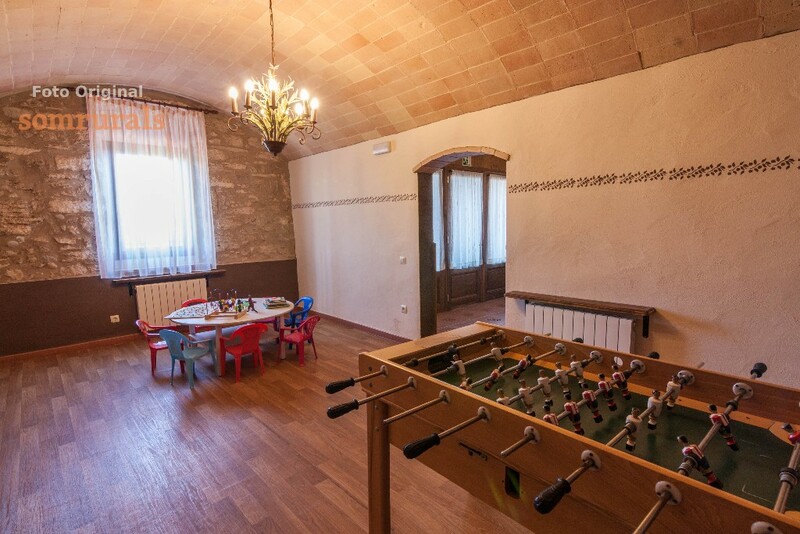 On the ground floor we find the shared space between the kitchen and the dining room, a very spacious living room with sofas, TV and fireplace and a games room with foosball and games for the little ones. 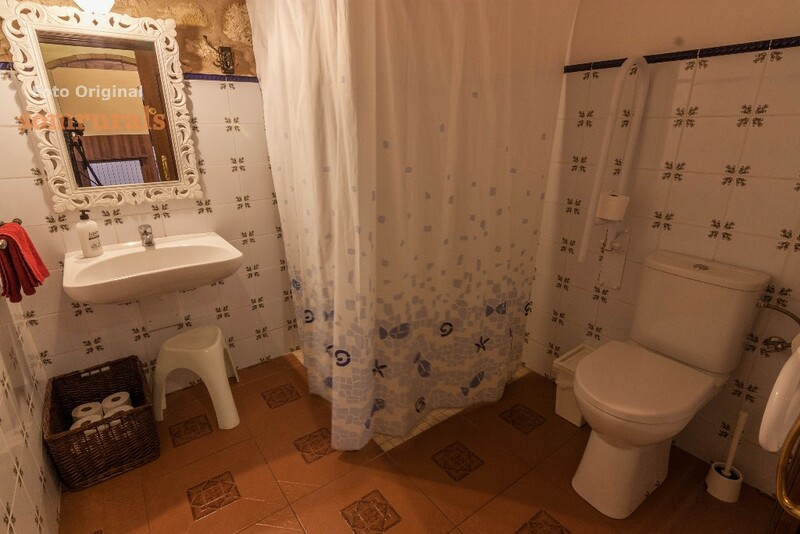 We also find 1 double room with bathroom adapted for people with reduced mobility. 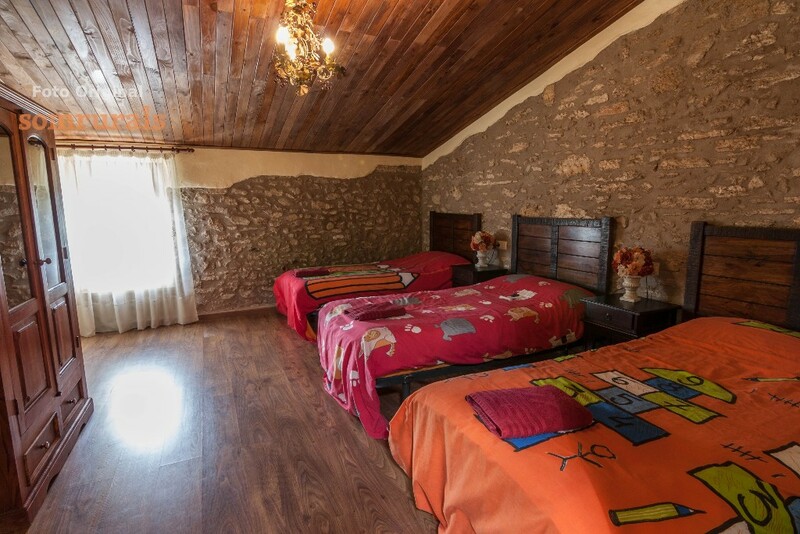 On the first floor of the rural house we find 5 bedrooms (three doubles and two triples) and 2 full bathrooms. 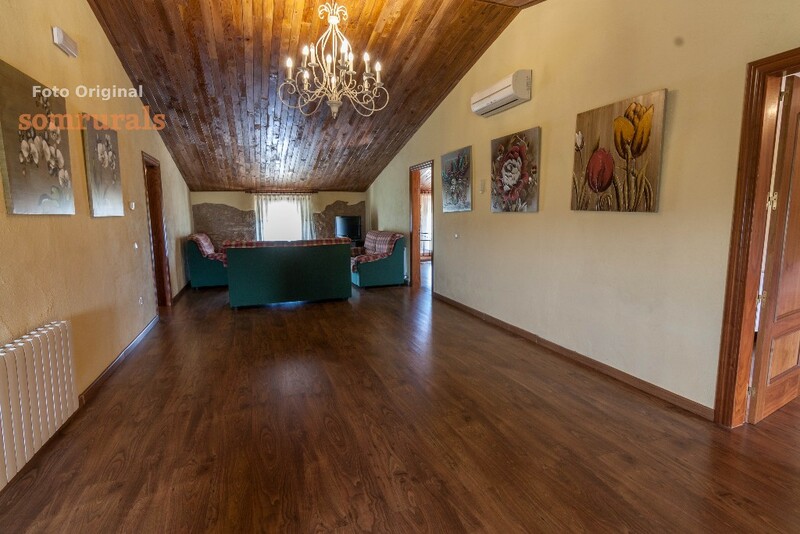 Finally on the second floor there are 4 bedrooms (two doubles and two triples), 2 full bathrooms and a distributor room with sofa and TV. 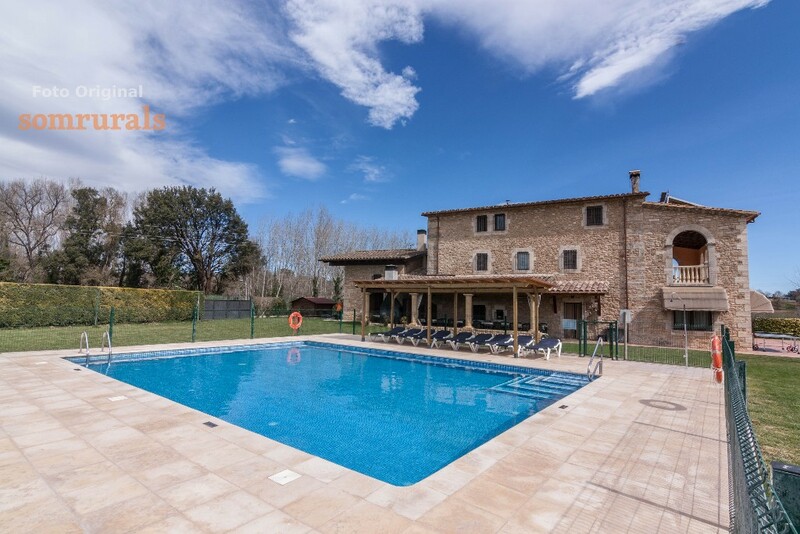 This house has a fabulous garden with pool for summer, porch with garden furniture, barbecue, children's play area, perfect for spending long periods of outdoor relaxation. 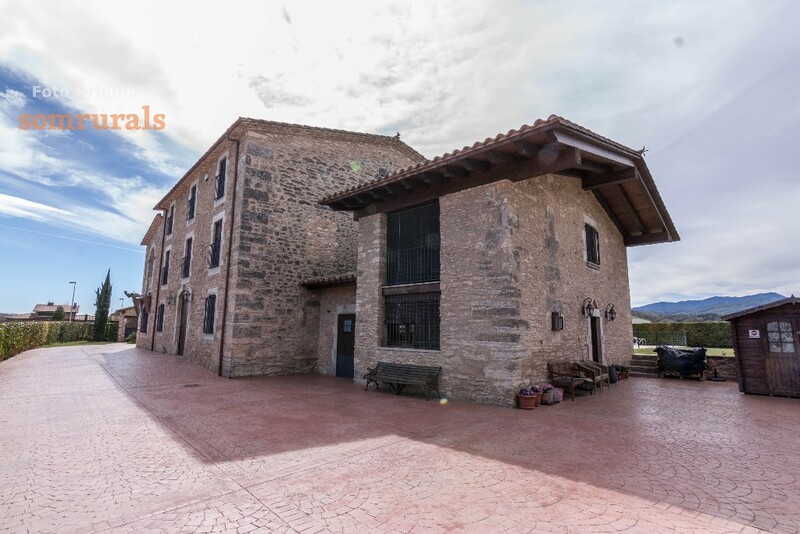 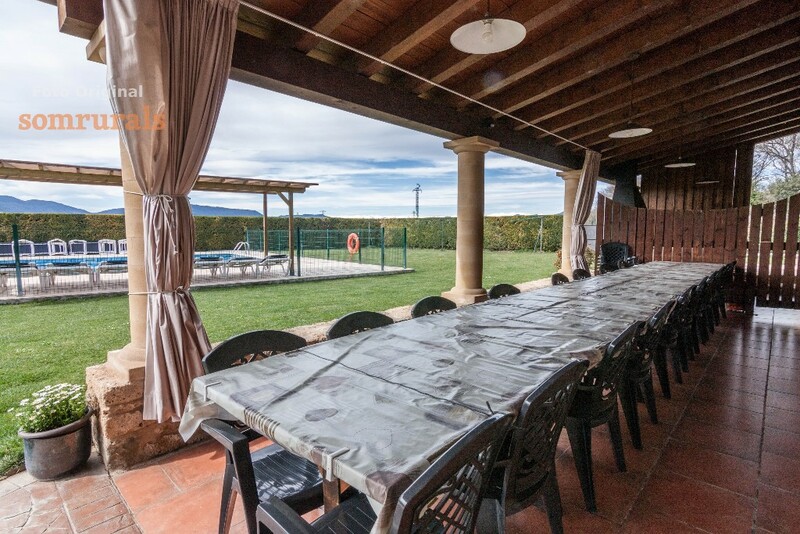 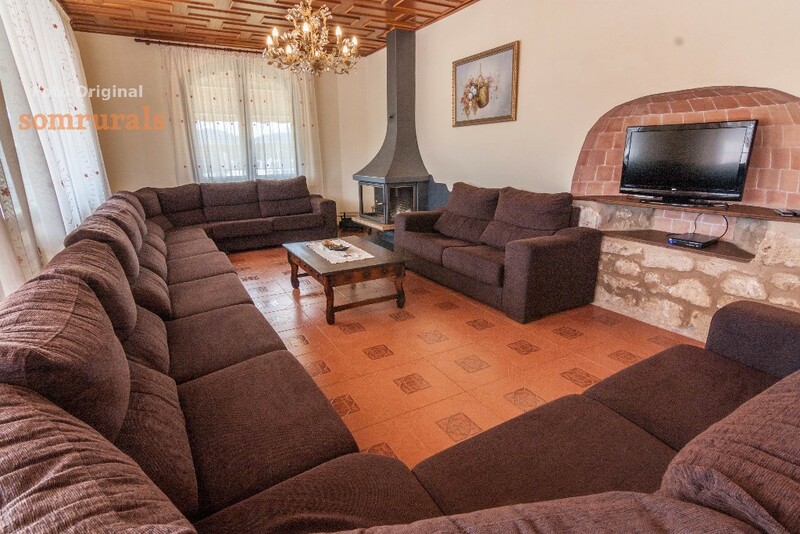 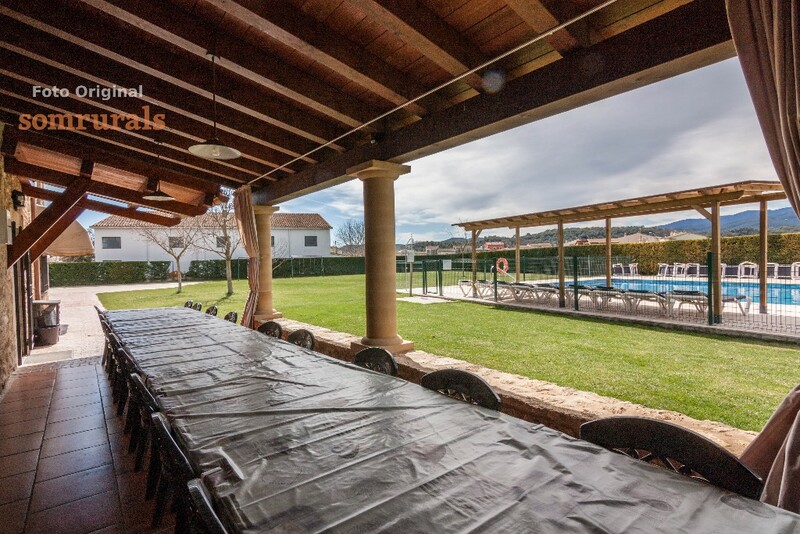 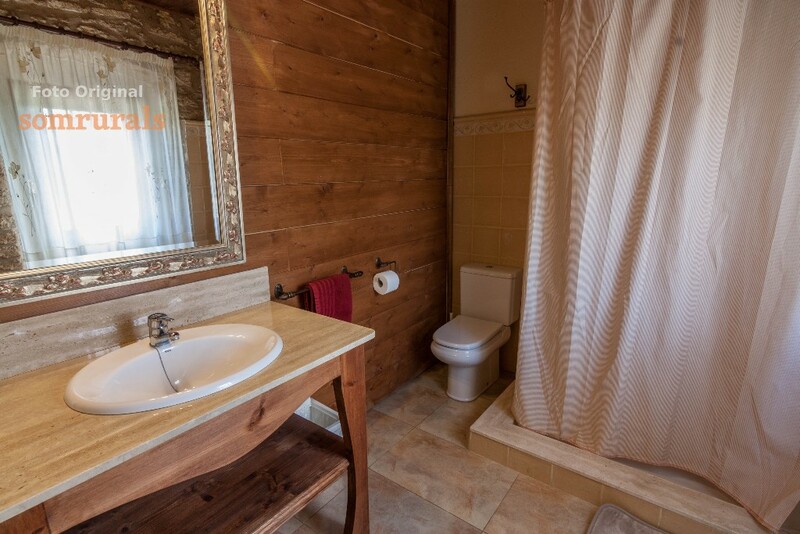 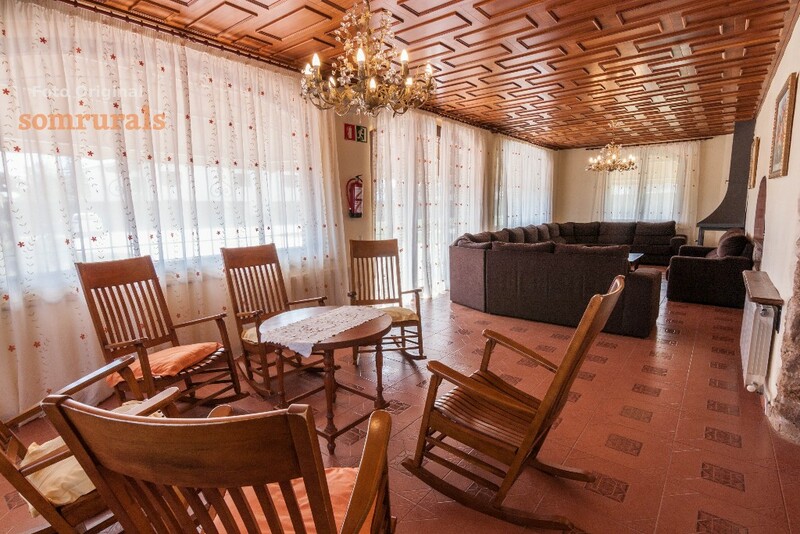 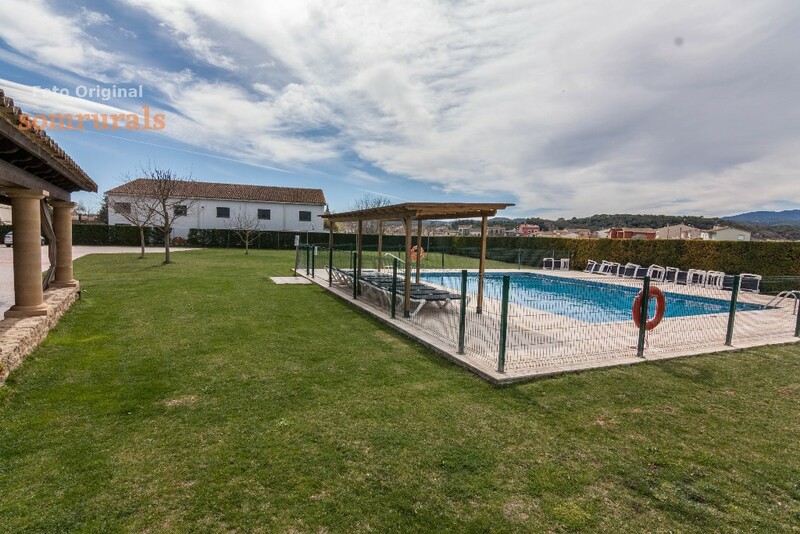 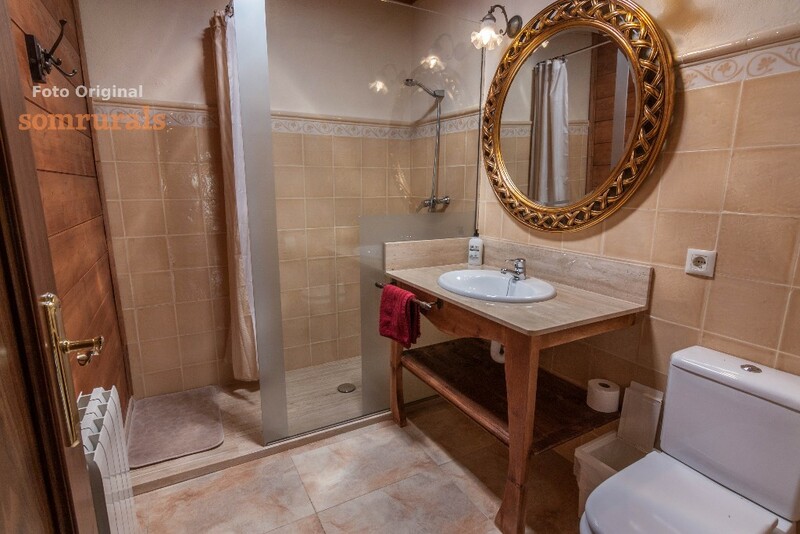 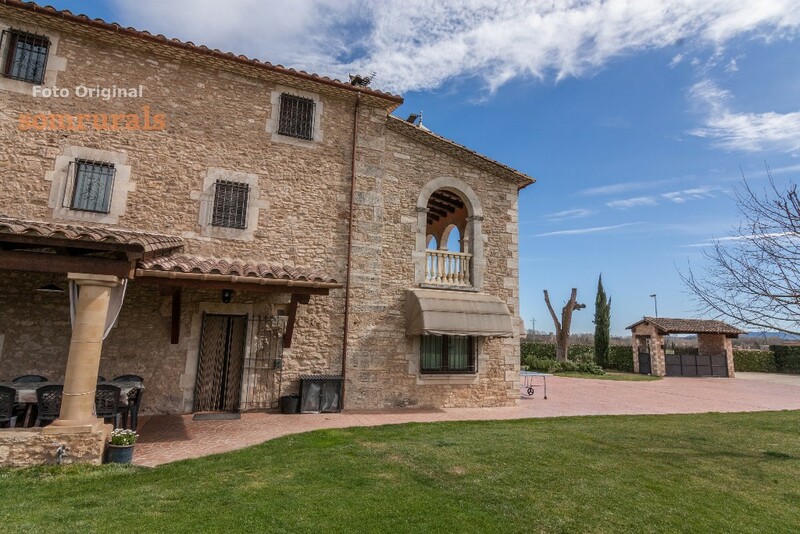 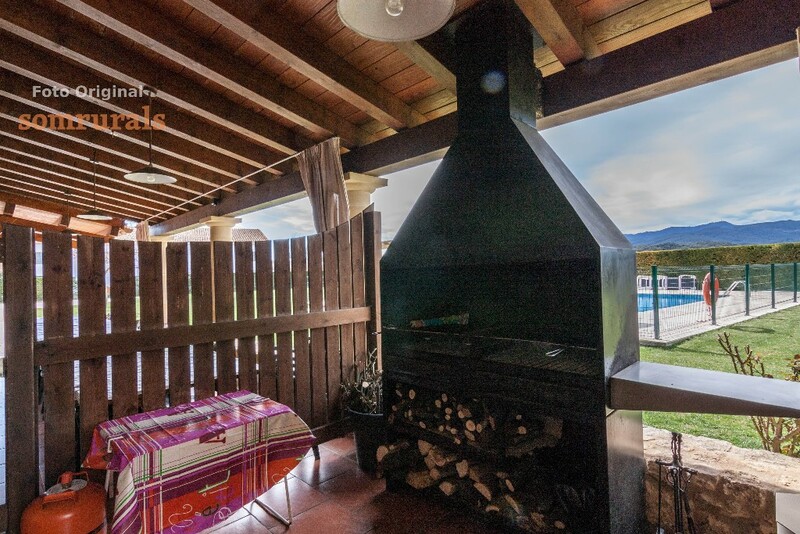 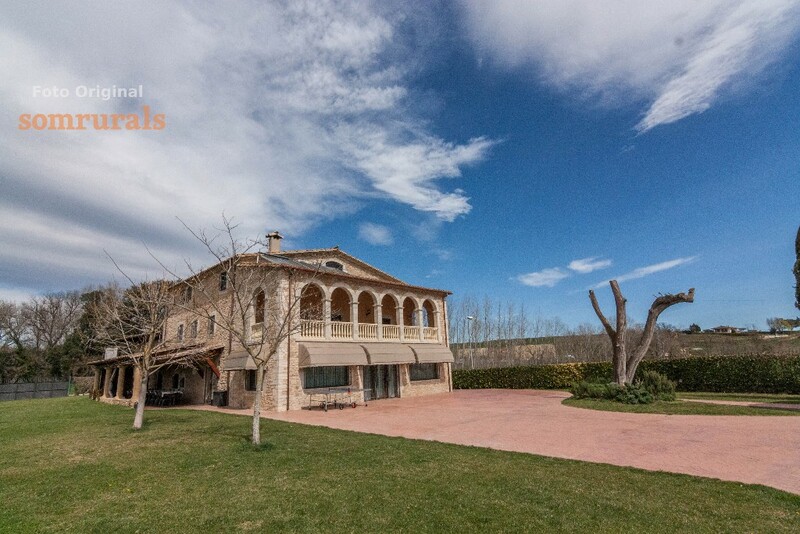 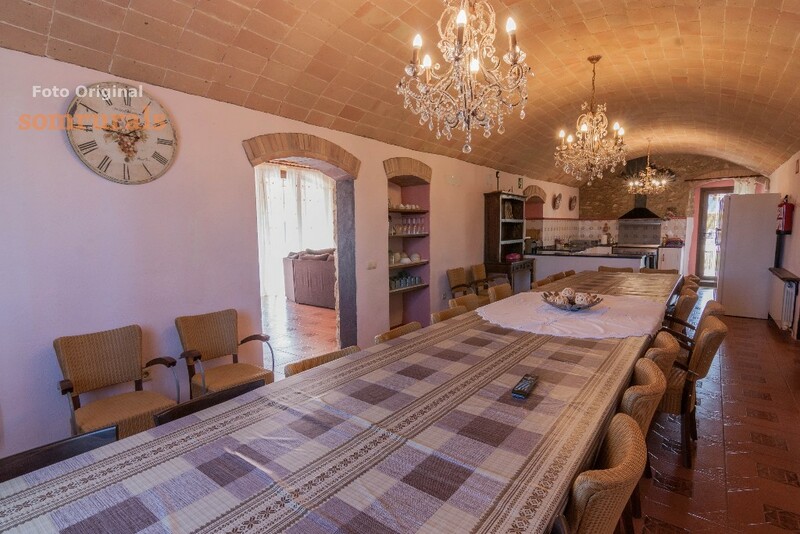 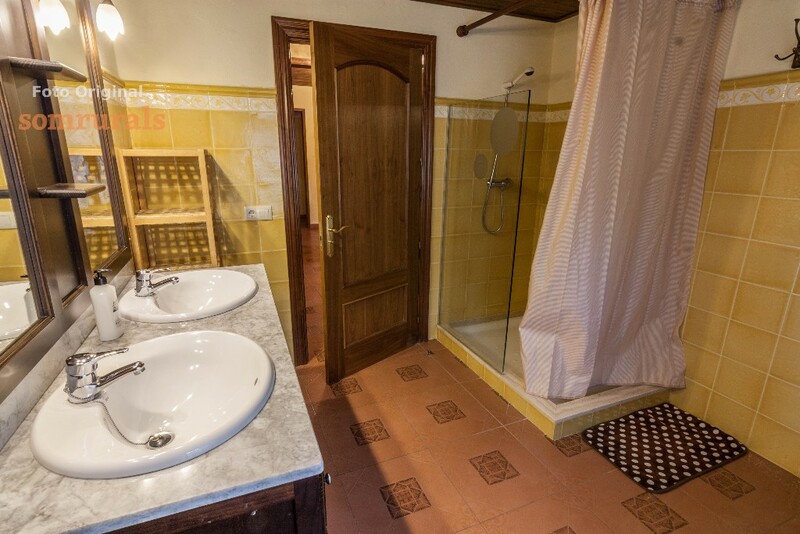 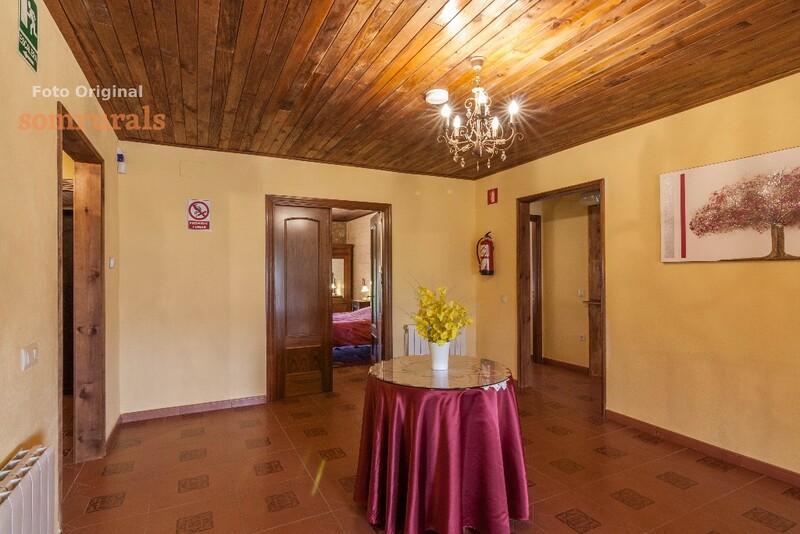 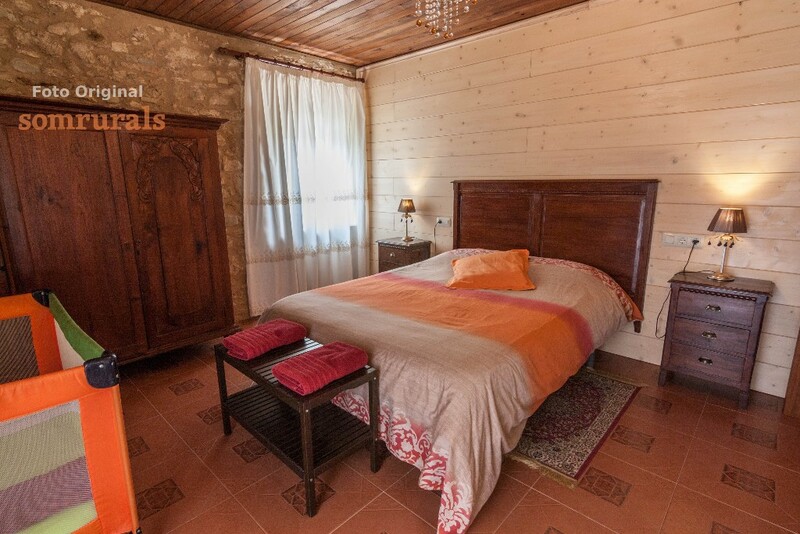 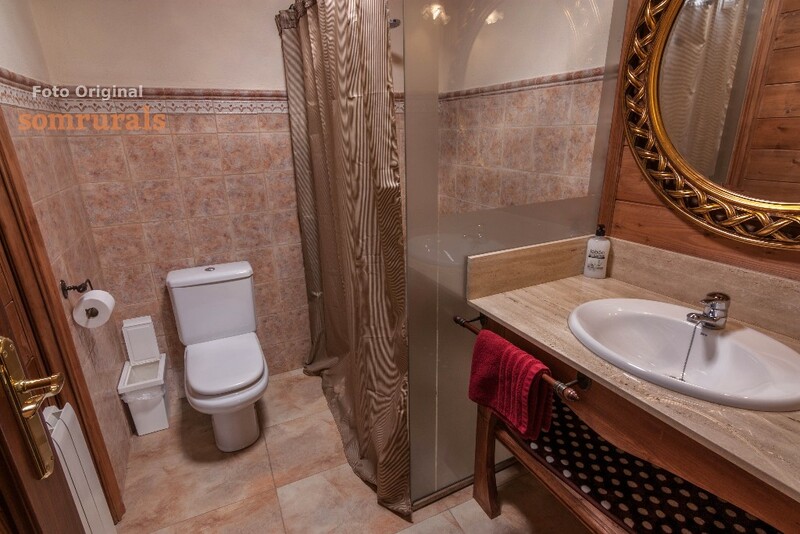 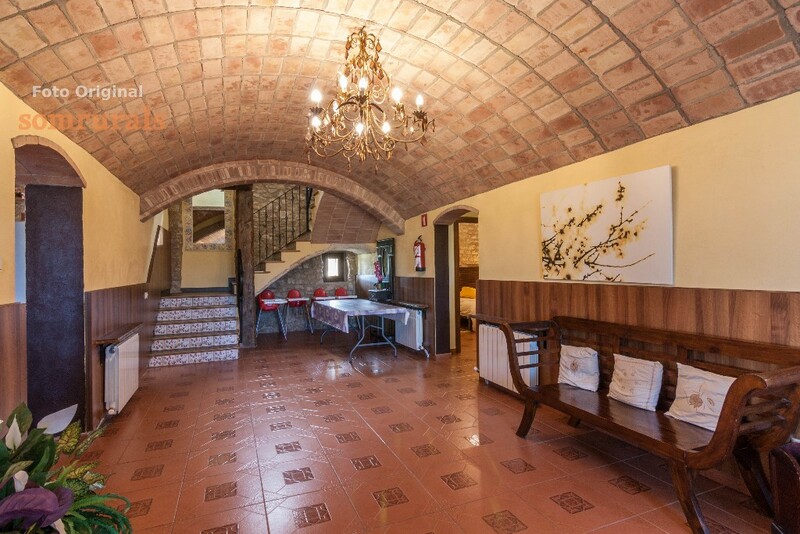 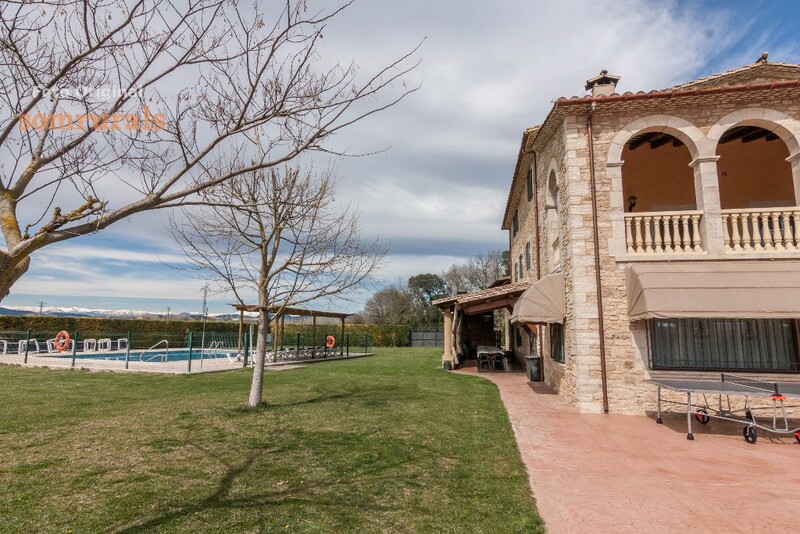 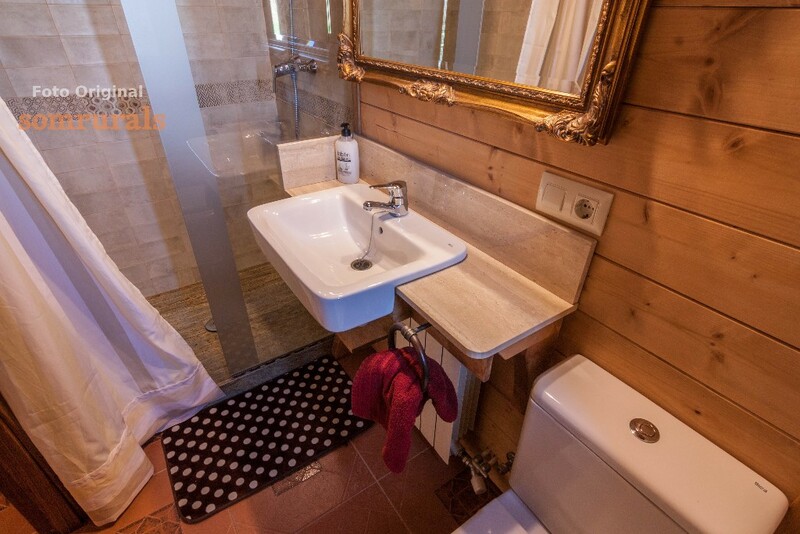 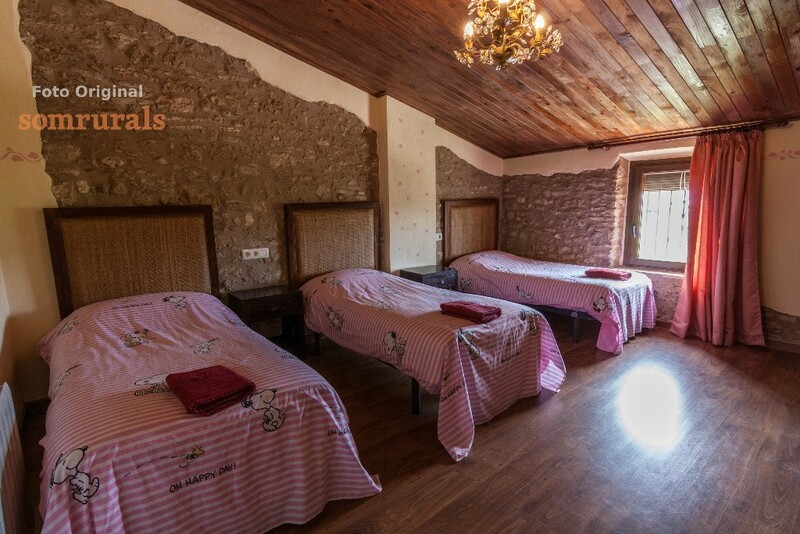 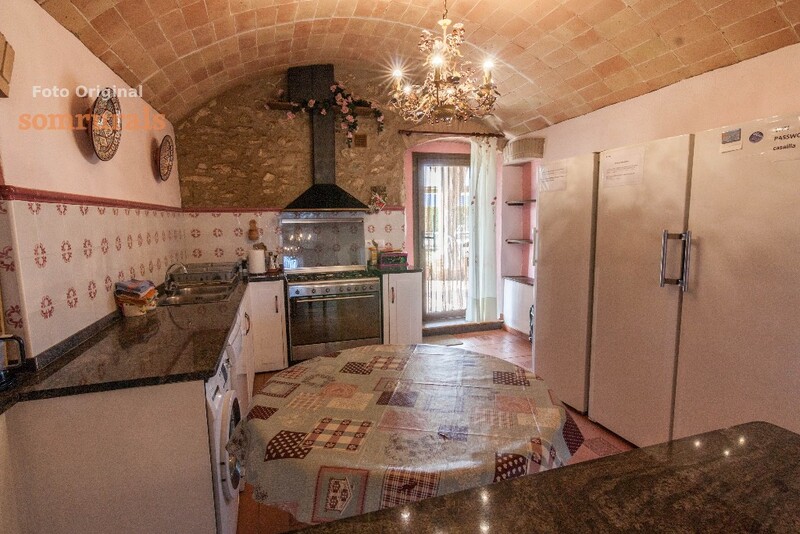 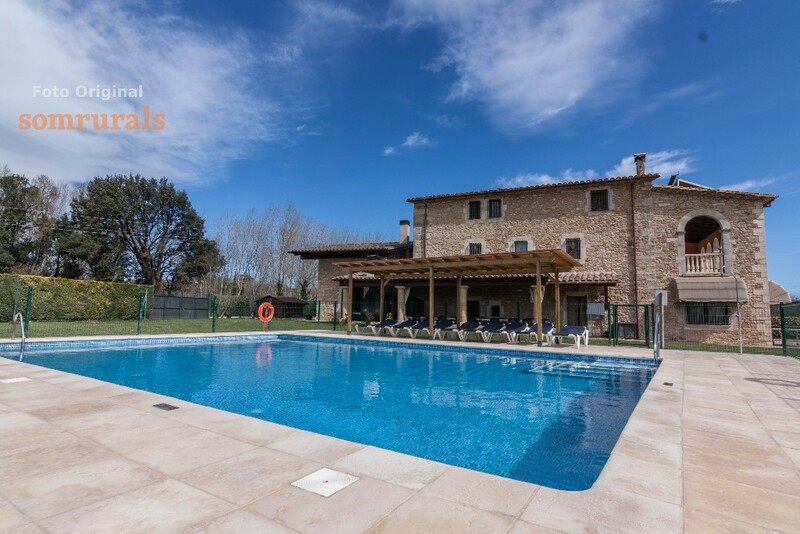 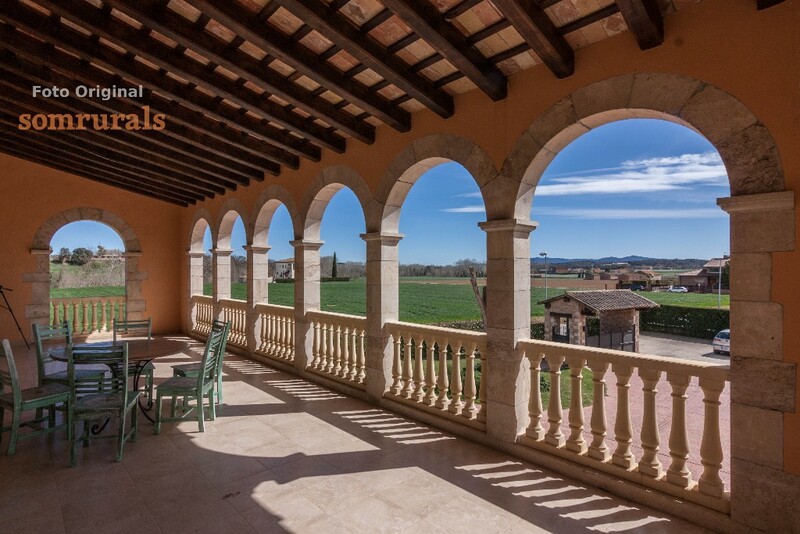 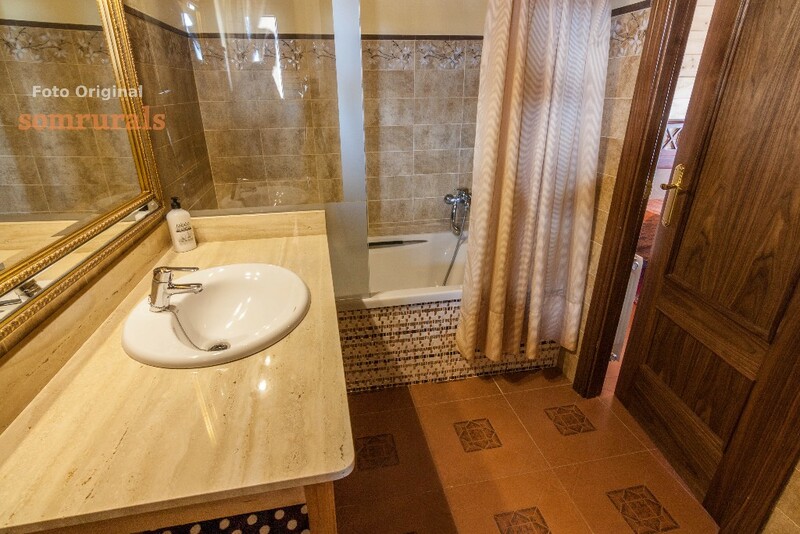 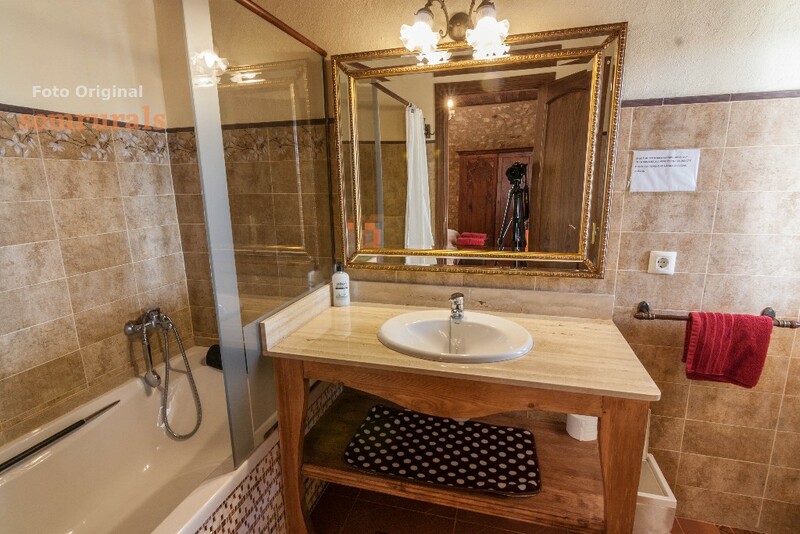 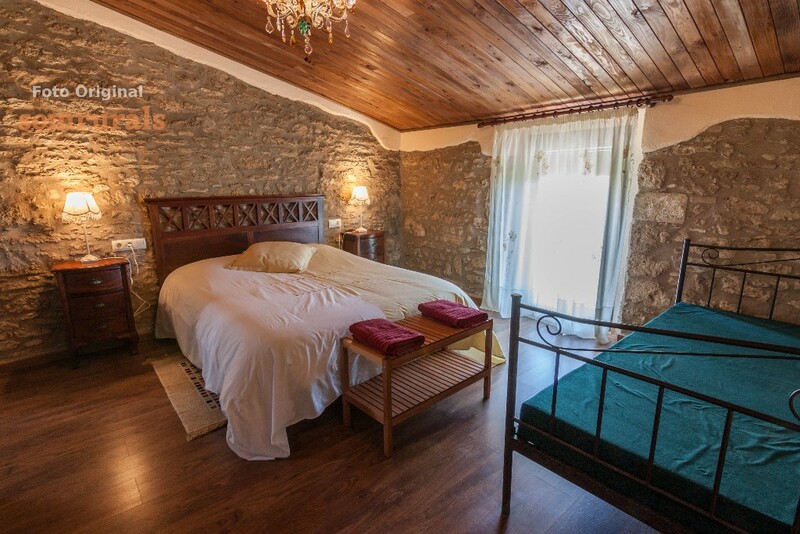 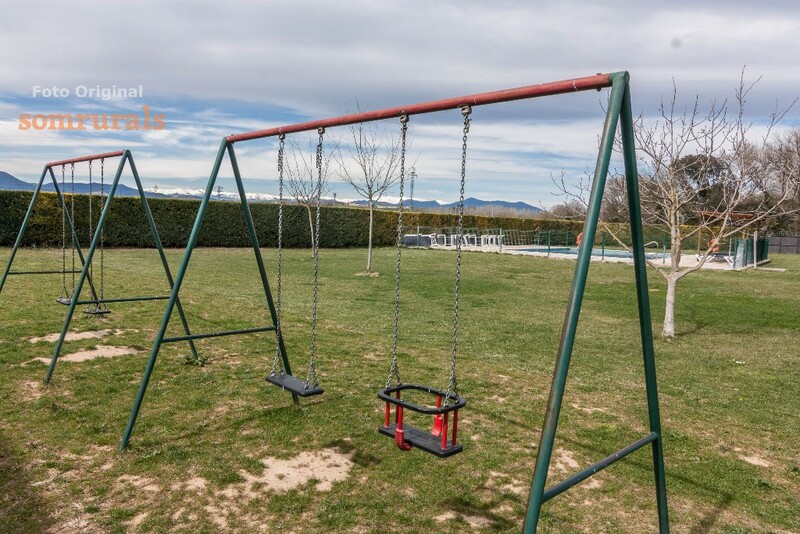 We can also enjoy the tranquility of the area in which the rural house is located and we can discover some of the most beautiful villages in the area, since they are a few kilometers from the cottage. 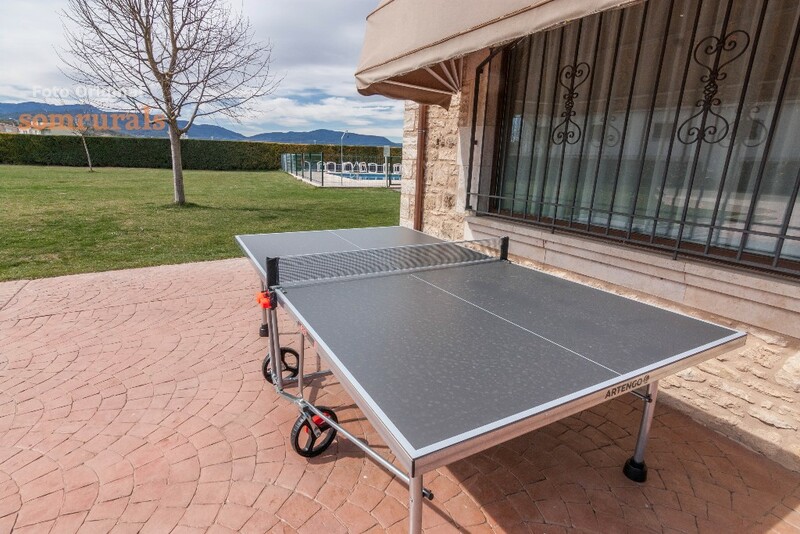 It also has a ping-pong table outside. 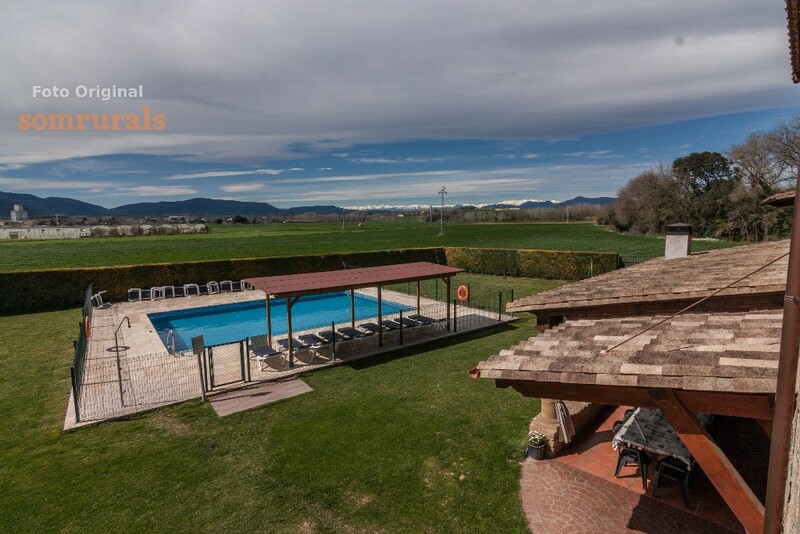 ✓ Large garden with pool and barbecue. 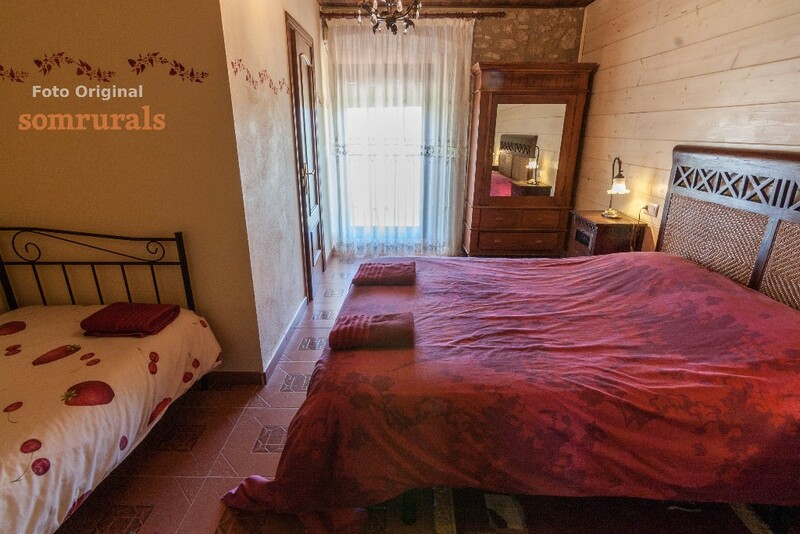 Check-In: Flexible (subject to availability on the day). 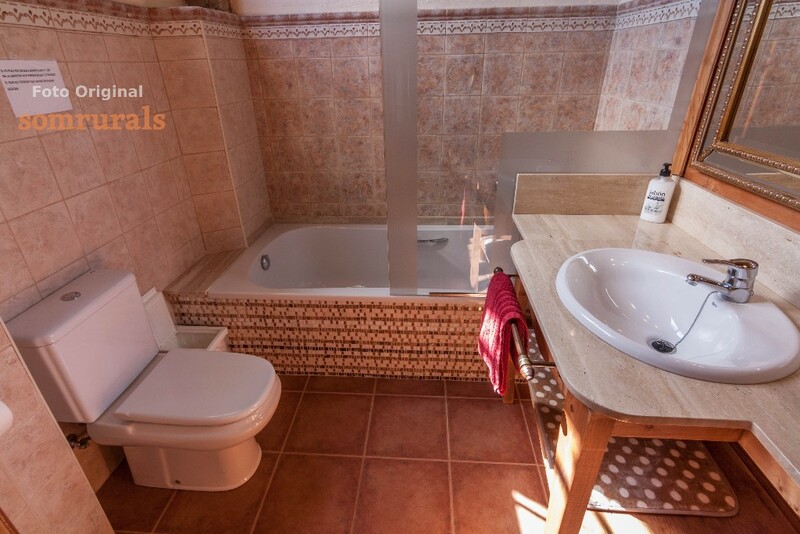 Check-out: Flexible (subject to availability on the day)..